CH9098 3/8" x 13/32" Knotty Pine Scribe Moulding is manufactured in northeast Ohio from premium quality softwood. Besides ordering online you can also call (330)-638-3232 or E-mail sales@cortlandhardwood.com to get an estimate or place your order. 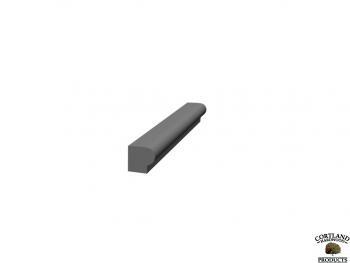 If you do not see the Spline Molding you are looking for we can make any custom moulding profile to match your specifications.